The Spring season has started out with a roar. Inventory levels have been at extremely low levels and Buyer demand has been high. One component is certainly the usual Spring seasonality, but we also believe that the rising interest rates are an even more critical driver. The all powerful cash offer has now resurfaced with investors also heavily active in the market place as well. Thus far the new administration hasn’t dampened the Silicon Valley Buyers’ home buying spirit. Demand is especially high in the Single Family Home category. Single Family Homes in the million-dollar mark have seen competition levels from 15 to 20 offers. Buyers are realizing that they cannot be picky and settling for smaller homes less than 1,000 square feet and even settling for 1 bathroom. Competition is fierce; if you are a Buyer we suggest that you go with your most aggressive strategy and do not underestimate the competition. Home prices are pushing up with every sale on a weekly basis and many Buyers eventually find themselves priced out of the market. The next category are homes in the $1M to $2M bracket. Homes in this range have also been very aggressive though with offers in the single digits typically occasionally breaking double digits. Homes in the $2M and up price points will vary by location, but typically with multiple offers as well. Week by week more inventory is coming onto the market, so if you are a Seller get out soon before everyone else catches on. 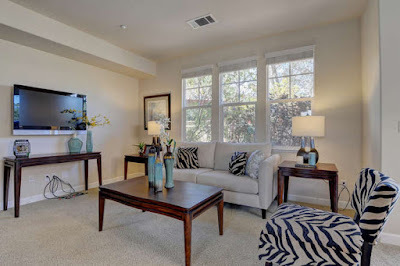 We have seen a trend of Sellers who are selling to purchase their next property as well. As with many Sellers, their equity is in their homes, which requires a deeper dive into each Sellers’ unique financial situations to derive a property strategy. The Federal Reserve raised interest rates by .25% and signaling another .5% increase this year. This will ultimately affect the interest rates on mortgages in the long run. Interest rates are still at all time lows and we are still seeing great interest rates still from our preferred lenders. There will come an inflection point where higher interest rates will affect affordability and ultimately home prices. This inflection point will not likely be attained in 2017. Snapchat, Okta and Mulesoft led the way this year with their Initial Public Offering (IPO). This will pave the way for more IPO’s this year and next. The stock market has performed well in 2017, helping technology workers procure their downpayments to buy homes. Some Silicon Valley companies to watch for are Cloudera (Palo Alto) and Dropbox (San Francisco) are possible candidates as well. We expect inventory to peak in the June/July timeframe. This year is unique in that it is possible that the market may continue to be good for Sellers as the number of Buyers that are in the market may still go unsatisfied through the summer months. It goes to be seen how the inventory levels are for properties on the market. As a Buyer if your mindset is anything other than aggressive, you may continue to lose multiple homes until the market forces your hand, or you simply decide to put a hold on your home search. By then prices have increased on a weekly basis and often Buyers find themselves priced out. For Sellers, keep in mind that you are not the only Seller monitoring the market. Many Sellers are gearing up to hit the market so take advantage while you can. 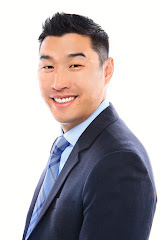 The Alan Wang Realty Group is Now Hiring Buyer and Listing Agents! The Alan Wang Realty Group is a team that is a part of Keller Williams Realty, the largest real estate brokerage in the nation. The Alan Wang Realty Group ranks in the top 1% of real estate teams in the nation. Alan has been in the industry for over 14 years and has a strong customer base. Join a group in the infancy of it's development with a startup environment. Fast paced, fun and entrepreneurial team pushing the envelope in real estate! The team is a growing team with high aspirations and to become a mega team in the Silicon Valley. You will learn more than you can imagine on this team! 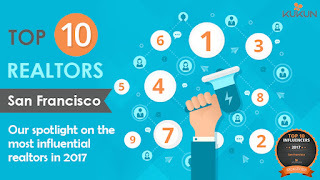 Alan was voted one of the top 10 influencers in the Bay Area https://mykukun.com/top-10-realtors-in-san-francisco-bay-area/, rest assured you are learning from the best. Candidate must be a self starter, can do attitude, strong work ethic, team player, with a heavy focus on customer service. Ability to pick up technical tools and have strong written and communication skills. Real Estate is a difficult business. The learning curve is steep and sustainability is even more difficult. Lead Generation is perhaps the hardest part of this business in addition to being a sole business owner responsible for accounting, marketing, public relations, business development, facilities, strategy is daunting. Why not join a team where that is all taken care of for you and all you have to do is service the client? Also be coached to take yourself to the next level and learn more than you could possibly learn on your own. These positions are high touch roles with Buyers and Sellers. You will learn the process on how to take a customer from a lead to closing and then a customer for life. You will be trained in methods of lead generation and how to create an excellent customer experience! Candidate must possess a passion for customer service, sales ability, excellent communication skills, problem solving ability and a passion for getting things done. Open to various levels of experience. Fluency in languages such as Mandarin or Cantonese a plus. Opportunity for leadership and career coaching and development. Must be a licensed California Real Estate Salesperson. Agents on a team typically can make from $50,000 a year to $200,000 a year. Again there is no limit! Please e-mail your resume to katie@alanwangrealty.com for consideration.